Any illusionist will tell you his act depends on gaining the audience’s attention and keeping it focused where he wants it. Before the eyes of the astonished crowd, he can pull off anything from the simplest of card tricks to the disappearance of his lovely assistant. In a similar vein, the con man reels in his victim, controlling his attention and showing him just enough to tantalize—think Newman and Redford duping Robert Shaw in The Sting. And so it is with Anderson Cooper, who displayed enough tricks in his series ostensibly on Scientology to make people wonder whether he spent time as a flimflam man or merely studied such methods. 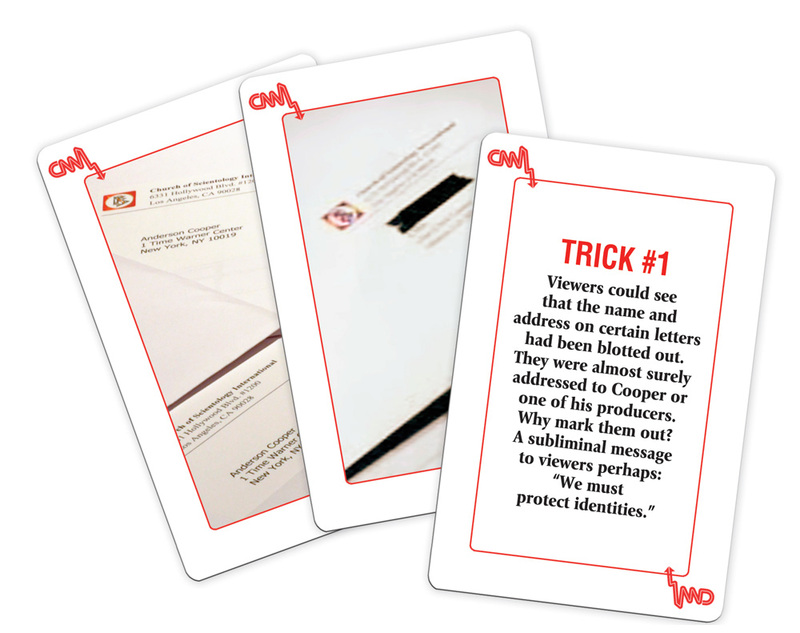 One of his most adept maneuvers: repeated references to documents received from the Church—papers he smoothly flashed and fanned before the camera like a card dealer on the Poker Channel. Night after night, virtually the same statement came from Cooper’s mouth. The camera zooms in on the documents in a bit of prestidigitation—a handy prop to conjure up the idea that objectivity exists. If Cooper had presented even a few excerpts, some light would have pierced the dark lies he conveyed. But he read not a single line. With his “sources” Cooper appears relaxed and informal—open collar, strolling in the park. And then in a feat of presto chango, Cooper reappears, transformed, when interviewing Church executives—sitting stiffly, formally, in a coat and tie. Another trick: Show a clip of a person, followed immediately by someone else who appears to contradict the first—even though they may have been talking about entirely different subjects. This ruse, used repeatedly, added to the air of confrontation Cooper created for the series. 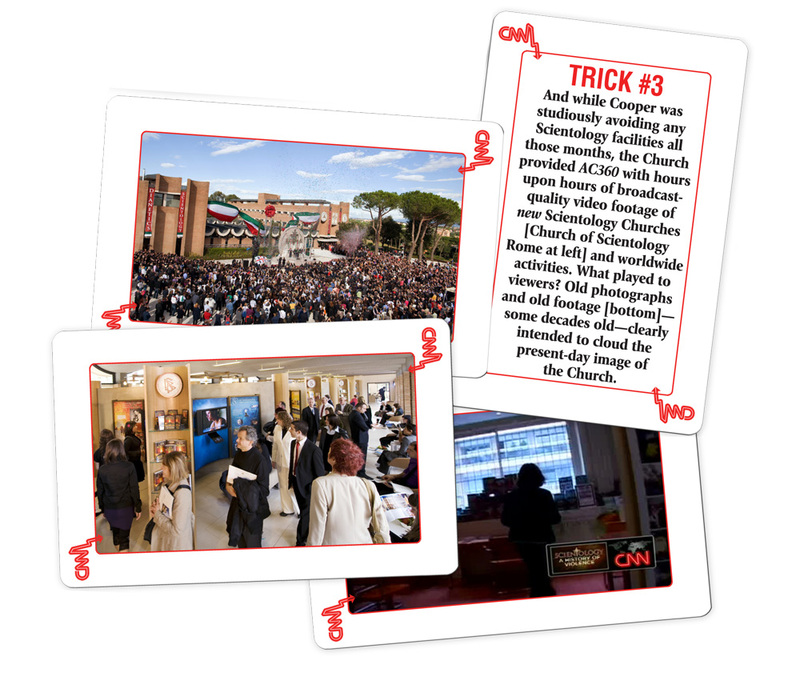 And while Cooper was studiously avoiding any Scientology facilities all those months, the Church provided AC360 with hours upon hours of broadcast-quality video footage of new Scientology Churches [Church of Scientology Rome at top] and worldwide activities. What played to viewers? Old photographs and old footage [above right]—some decades old—clearly intended to cloud the present-day image of the Church. Such words and phrases were reinforced through repetition. Cooper’s favorite: “Culture of violence,” used to open the show, when returning from commercial breaks, and to promote the series throughout the week. This was to slyly trick the viewer into thinking such a “culture” existed, when it did not. It’s the Big Lie: The most outrageous statement, repeated time and time again, encourages listeners to believe it. Similarly, Cooper implied that secrecy existed when it did not. 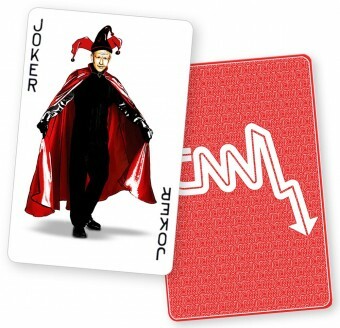 In fact, CNN had repeatedly and for months been offered full access. Such statements by Cooper could only have been intended to manipulate viewers’ minds and spread false ideas. And while Cooper was studiously avoiding any Scientology facilities all those months, the Church provided AC360 with hours upon hours of broadcast-quality video footage of new Scientology Churches and worldwide activities. What played to viewers? Old photographs and old footage—some decades old—clearly intended to cloud the present-day image of the Church. And a final ruse: With his “sources” Cooper appears relaxed and informal—open collar, strolling in the park. And then in a feat of presto chango, Cooper reappears, transformed, when interviewing Church executives—sitting stiffly, formally, in a coat and tie. 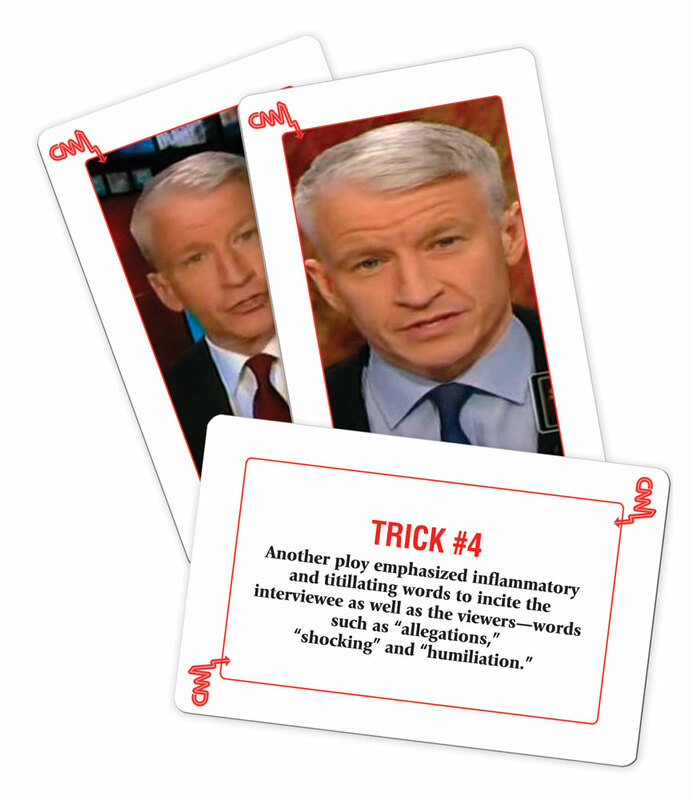 As Cooper and company well knew, these are but a few examples of the tricks of the trade they pulled from their sleeves and flew onto the air to dissemble to AC360 viewers about Scientology. Over a period of eight months, Cooper and CNN had been asked many times to meet with Church staff and parishioners and to tour Church facilities—to really find out what they were reporting about. 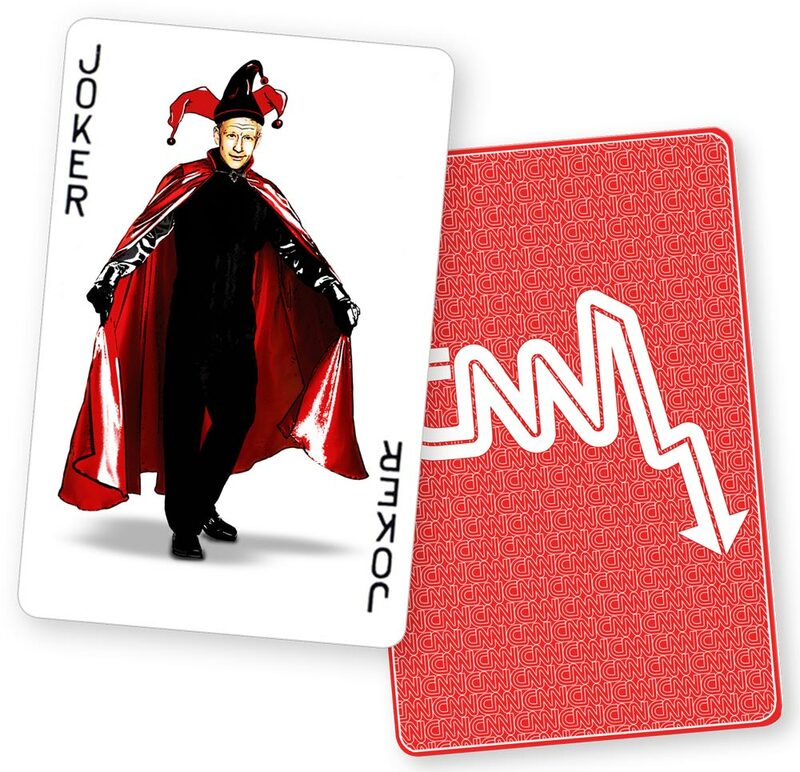 Of course, no one at “the least trusted name in news” took the time to do that. The result: The “series” itself, the biggest deception of all.